Welcome to the 2Peas Gardeners' Digest, a monthly blog hop hosted by the 2Peas Garden Girls! Below you will find a sneak of one of my upcoming layouts for the 2Peas Project Gallery, a list of items that I've placed in my shopping cart, a project from another scrapbooker that inspires me, and a giveaway! Here is a little sneak of the love-themed layout that I created for the February 1st Garden debuting on, well, February 1st :) Check out the rest of my Garden Girl creations HERE. I was scrolling through the 2Peas Gallery and stopped in my tracks at this layout by Monika Głód: The layers, the colors, the photos, the stitched ampersand - what's not to love? Here are 5 products that I am crazy about! I've got a giveaway today! The first is this brand new, never opened Dear Lizzy Lucky Charm Rotary Phrase Stamp! 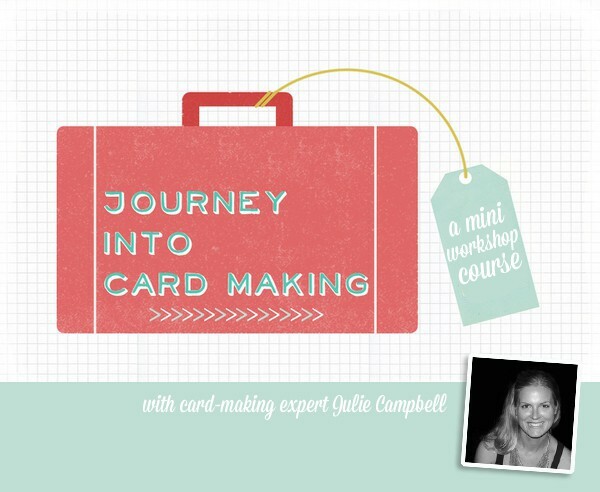 The second giveaway is a spot in Julie Campbell's 2 Peas class: Journey into Card Making! "Whether you’re a seasoned card maker or have yet to make your first card, this workshop will take you on a journey to create handmade cards that your friends & loved ones will cherish. Julie will start out by teaching you card making basics; you will create a card organizer to file away all the new cards you'll be designing! You'll then travel on to gain greater design skills. You’ll dive into design principles and learn how to create an eye pleasing design. You’ll learn all about composition & balance in a way that will take your cards from good to great! Become adventurous and explore some of the hottest trends in paper crafting! In this workshop, you’ll also learn how to incorporate colors in your projects & how to create cards in several unique styles. Included in this workshop are over 30 brand-new card samples from Julie and her contributors. The three chapters contain a printable PDF for a total of over 40 pages, and 80 minutes of coordinating video tutorials. Julie’s talented contributors include card makers Laura Bassen & Michelle Wooderson. At the end of this journey, you’ll find a BONUS chapter filled with souvenirs! 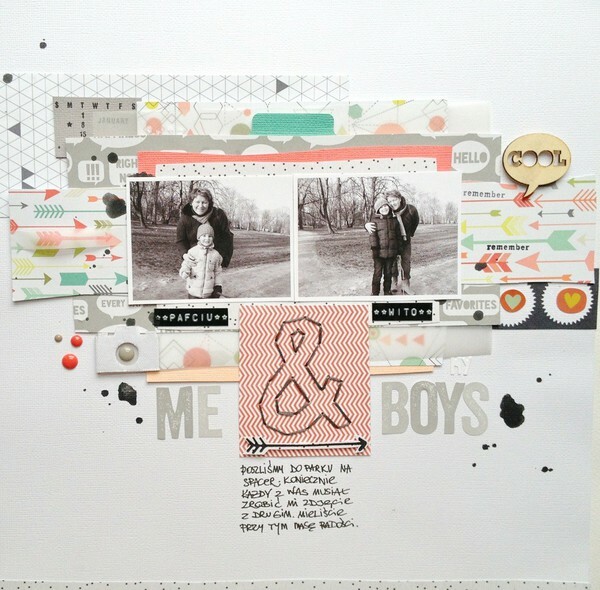 Create a trendy card set with the card making kit designed by Marcy Penner of Hello Forever. The kit will be available for download as a PDF and as a cutting file you can use with your Silhouette machine. The lessons are available for you to work at your own pace and upon purchase can be accessed in the "Workshops" section under "Classes & Events." A private message board forum is also available to ask questions for Julie and to connect with other participants. Enjoy!" To enter this giveaway, leave a comment on this post by Saturday January 26th 2013. Easy as that! Next on the hop: Laura Craigie! Updated with the winner, thanks to all who stopped by and said hi! Congrats! Email me at paigetaylorevans at gmail dot com to claim your prize! Love your sneak! Looks like a fabulous layout! Excited to see what all the new garden girls have in store for us this year! :) Thanks for the chance at a fun giveaway! Lovely choices. Thanks for sharing your awesome style with us. And thanks for the giveaway! Can't wait to see what you have coming up, it looks like fun ! I'm not much of a card maker, but I would love to win Dear Lizzy Stamp. Thanks for the chance! Looks like a lot of fun in store. Thank you for the giveaway! Ooooh! Your layout is going to be awesome! I can't wait to see the whole thing! Oh my, lovin your LO. Thanks for the great inspiration and the giveaway! Love those stamps and the card class looks incredible! Great projects and the new stuff looks like fun! Thanks for the chance to win! 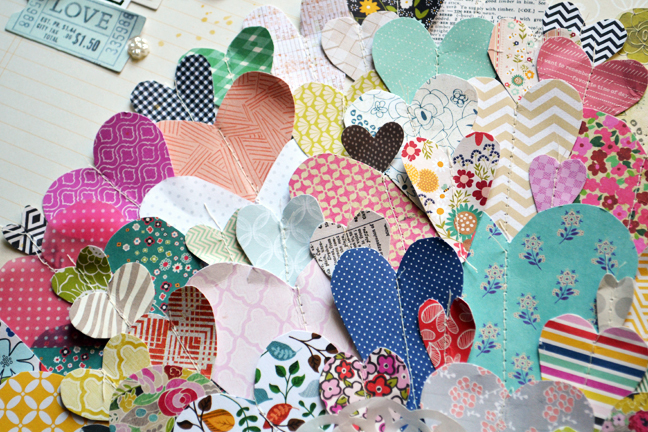 Those layered hearts look fabulous-I love your style! your sneak peek looks gorgeous!!!! thanks for chance to win stamp and class! both wonderful!!! Great giveaways - thanks for the chance to win. Absolutely love your layouts and creativity! The colors and patterns are so fun and vibrant. Thank you for this wonderful giveaway opportunity. Oh yays! I've been absolutely drooling over that stamp since it was announced! ohhhhh all those hearts! Can't wait to see that full layout! Love Love Love your layout! Can't wait to see the rest of it! Your coming soon layout with those hearts??? Wow! Loving that sweet little stamp! TFS! I love the look of your sneak! Such a beautiful layout!! Thanks for the giveaway!!! Thanks for the chance to win a giveaway! Can't wait to see that layout with all of the hearts! Love all your picks! Can't wait to get my hands on that Kelly Purkey stamp set! Thanks for the chance to win! CANNOT wait to see the full layout with all those hearts! And great giveaways! Thanks for the chance to win! Your page layouts inspire me and I wish i had an ounce of your creativeness! Love love love love your sneak!!!! LOVING all those hearts!!! I can't wait to see the entire layout! So much fun! Username- moadibp2 Thanks! OH I want to see MORE of that layout!! Now I want to go get a bunch of hearts cut out. What a cute stamp! Love your sneak! Paige, your sneak took my breath away! Love what I've seen so far! Loving all the colorful hearts in your sneak. Can't wait to see the full project! Would love to take this class! Love your layout sneak....cant wait to see it revealed!! Just love your style!! Wow! Two giveaways! Would love to win either of them, thanks for the chance. Ooh... Loving all the hearts in your sneak... Can't wait to see! And thanks for the chance at the giveaways! Can't stop staring at everything on your blog. Love all the patterns! Can't wait to see it all put together! I would love to win a spot in this class! SWOON! I love hearts and your sneak is full of them! 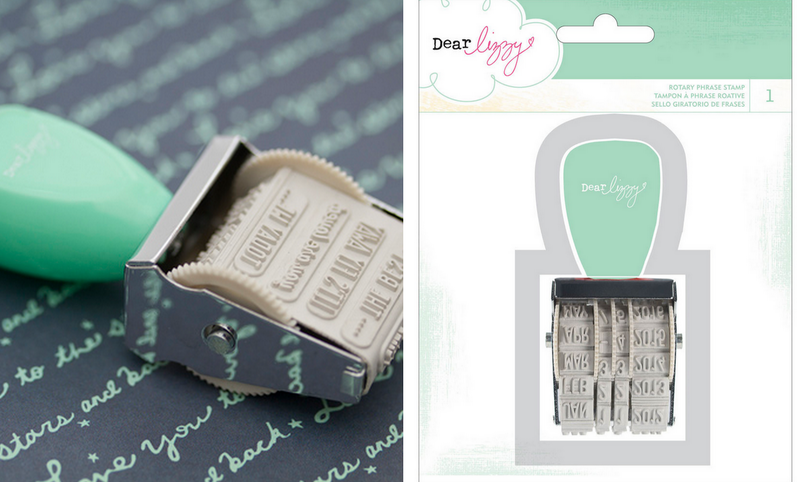 Thanks for the chance to win the stamp, I have a weakness for the stamps and anything by Dear Lizzy! Fantastic giveaway! Love how bright & colorful your layouts always are! Oh I would love to have one date stamp! I have thought about taking this class, it would be fun to win it! Wow. I have just become your newest follower. I just love your style. Thanks for the inspiration. How fun! Love all those date and phrase stamps that are out there. This one looks fun too! Love this day of the month! Can't wait to see all new releases! And the class sounds like a lot of fun! 2Peas username: Sparklin Thanks for a chance! Can't wait to see the rest of that heart layout! The One with the Garden Girl!